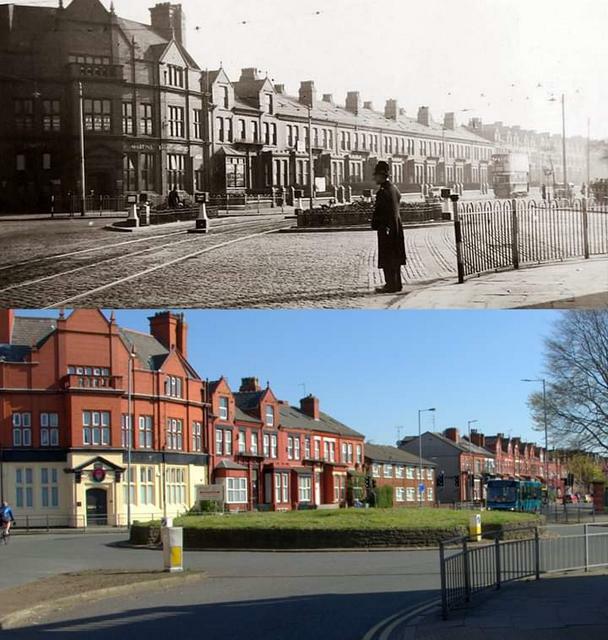 Bootle Times - Past - Present - Future • View topic - Bootle, Then and Now. 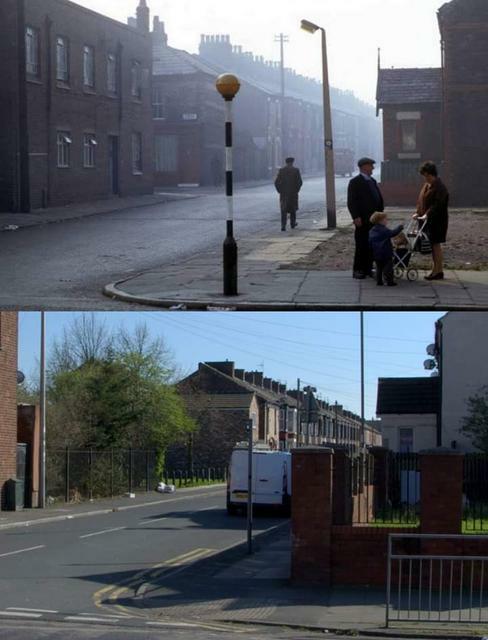 Re: Bootle, Then and Now. 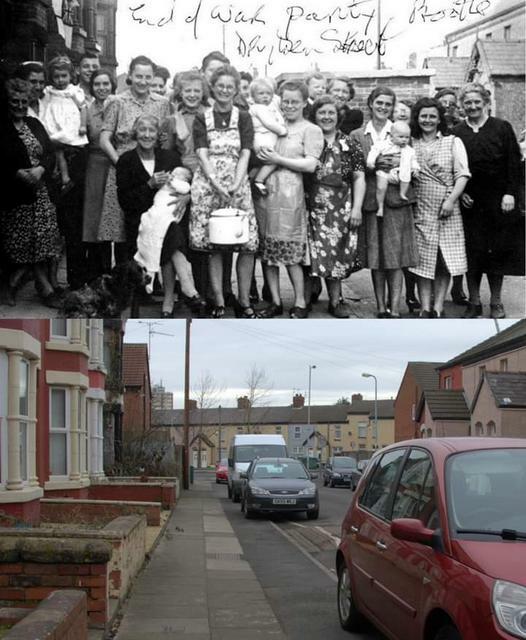 Again photos courtesy of Liverpool Then and Now. They say 1940s and 2019, Im thinking late 1930s. Thoughts peeps. Last edited by Bonesy on Sun Apr 14, 2019 9:50 am, edited 1 time in total. 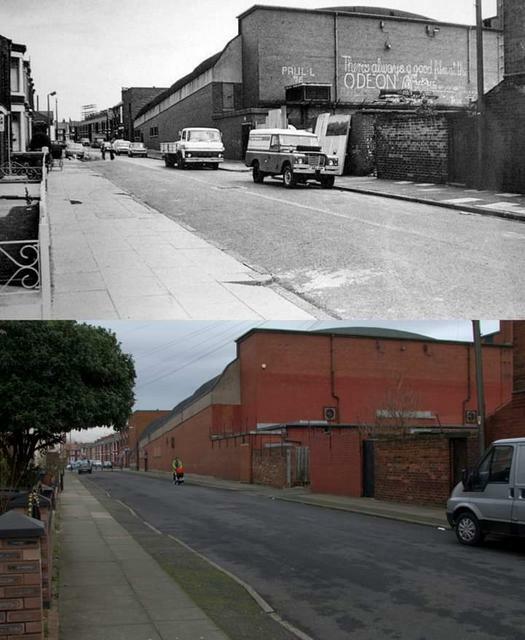 Liverpool Then And Now, thank you. 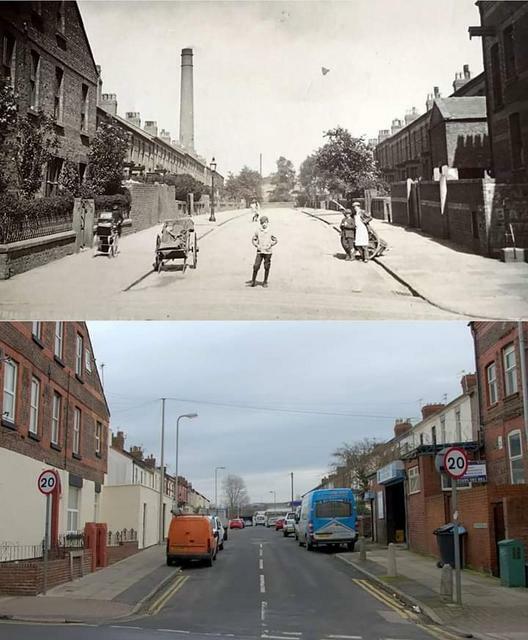 I like the pic of Gray Street. There were usually abandoned cars on that bomb site which had switches that clicked (remember the headlight dimmer switch on the floor?) and a wheel you could turn. Better than a play park. You can also see Gower Street which is no more - it had a few shops on it which included a chippy. And a TOY FACTORY! There were always tales of free samples but we never saw much.